If you're dreaming of tranquility and sunshine, then the Villaggio Italgest campsite is for you. 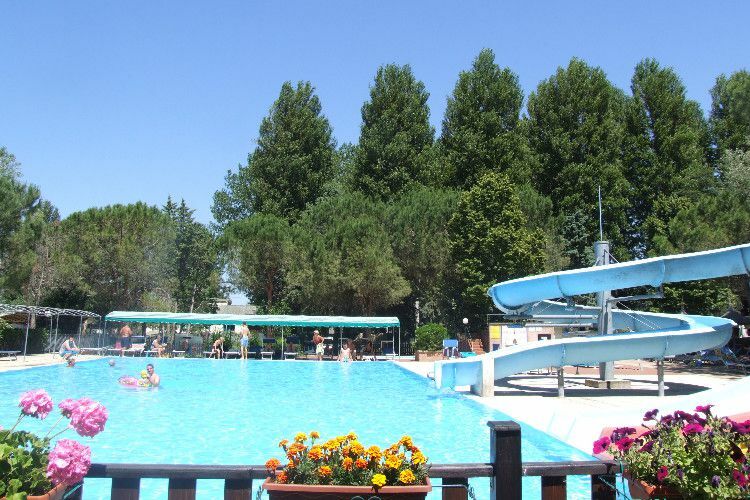 Located in Sant'Arcangelo di Magione in the Italian region of Umbria, this campsite has something for all the family. 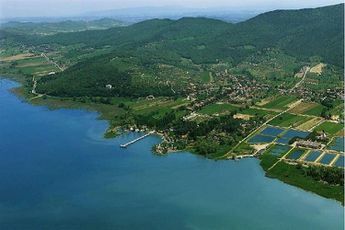 If you want to relax and revitalise, there are two private beaches on the banks of Lake Trasimeno for you to enjoy. The Villaggio Italgest campsite also has an outdoor swimming pool with water slides (open in the summer) and a jacuzzi. The campsite offers a range of services such as a bar, a pizzeria, and take-away meals. In terms of entertainment, Villaggio Italgest campsite is great! During the summer, events are organised for the whole family. Your children can have fun at the campsite's children's club, which is open during the summer. For those of you who like your sport, the campsite has a football pitch, a volleyball court and a tennis court. Magione train station (15km away). From the Milan/Rome A1 motorway, take the Valdichiana exit. Continue towards Perugia and take the Magione exit. Follow the signs for Chiusi-Chianciano-Terme and then for Sant'Arcangelo. Choose a holiday in the heart of Italy, in the region of Umbria, an area famous for its nature, heritage and authenticity! Not far from the Villaggio Italgest campsite is the beautiful and unmissable lakeside village of Castliglione del Lago overlooked by its castle. Art and heritage enthusiasts will love visiting the medieval cities of Perugia and Assisi.